'Art in the Yards' is a Darlington Town Centre Management project, which has been undertaken in close collaboration with Queen Elizabeth Sixth Form College and local production company Candle & Bell. The artworks are the masterpieces of students from the college's BTEC Diploma in Foundation Studies in Art and Design. This 'Art in the Yards' video series highlights the impact of the project on the town, its local people and on the artists themselves. The gallery affirms Darlington's commitment to public art and compliments the town's existing art. Art in the Yards is licensed under a Creative Commons Attribution-NonCommercial-NoDerivs 3.0 Unported License. 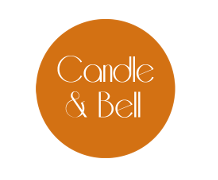 Produced by Candle & Bell.